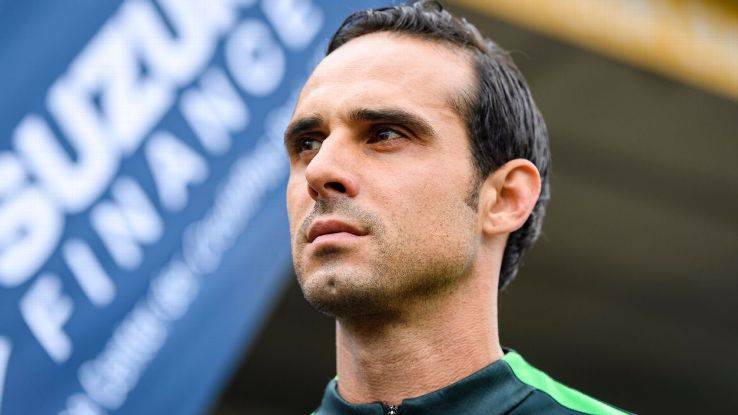 Interview with Werder Bremen’s Alexander Nouri: What makes a successful young coach? Young. Restless. And certainly an achiever as one of the youngest coaches in Bundesliga this season. The 37-year-old Alexander Nouri is currently coaching Werder Bremen, the club whose youth academy he graduated from. Born and raised in Germany, by German and Iranian parents, Alexander Nouri had been invited to Team Melli for a training camp in 2005 as he tells the tale during this interview. After ending his playing career, he began coaching at Oldenburg in 2011 before moving on to manage Werder Bremen reserve team until September 2016. Then came his calling in September 2016. 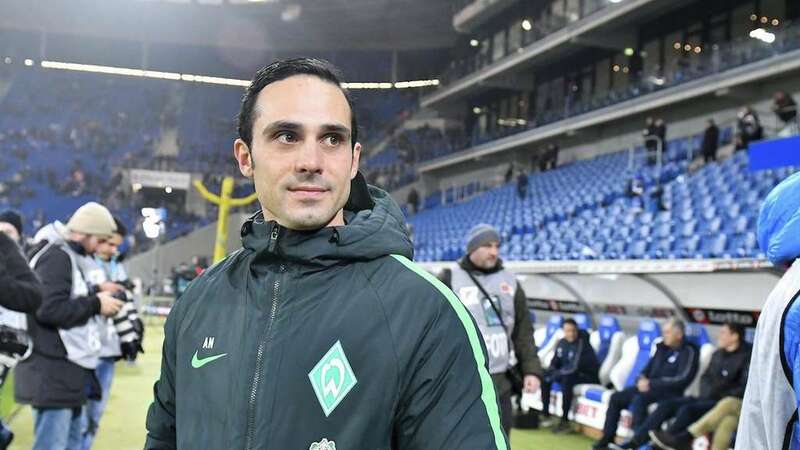 After a turbulent start to the season by Werder Bremen, Alexander Nouri was appointed by the board of directors to replace the ousted manager Viktor Skrypnyk as an interim coach. Helping to save Werder Bremen from the relegation zone and winning games with his team, soon after, his contract was extended until the end of the season by the club. Q: Mr. Nouri, first of all, congratulations on your promotion as the head coach of Werder Bremen. Tell us how your story goes, from Werder Bremen reverse team coach to the club’s manager? A: Thanks for congratulations. The first team was struggling in the first matches. So the managing director decided to change the coach and I took the responsibility as an interim coach for only a few games and we did pretty well in the first 3 games and manager trusted me to train the team for rest of the season. Q: Mr. Nouri, you were a former Bremen player and a professional player. In Bundesliga, if someone who had not been a professional player, how can he pursue the highest level of coaching? Like the Italian manager Arrigo Sacchi? If someone is a junior coach with no professional playing experience, how can they prove that they can take the helm at a senior side? A: It’s true that some of the coaches had not been professional players before their professional career as a manager. I used to play professionally for 12 years, mostly in German’s Second Division. The Second Division league does not get that much attention like the top-flight league does. But I’ve got a lot of experience during my playing career. I had a mentorship role in athletics at Mark Verstegen’s EXOS that is very well known in the U.S. I also got my Bachelor degree in Health Care Management with Nutrition, Medicine, and Training Science. So I had the theory basis for coaching. All these during my playing time. And in 2015 I graduated in the UEFA Pro-Level Coach License – the highest coaching level. So it is not necessary to have First league career to be a coach, but sometimes it helps if you are a professional player, to feel how players feel in different situations. Q: Werder Bremen is one of my favorite teams in Bundesliga, and I was always puzzled about Werder Bremen’s recent. For instance, during Thomas Schaaf’s last season at the club, and then his departure and onward, Werder Bremen has seen a big downfall, not making it to the UEFA Champions League, or even making it to the top ten teams. What has been the reason for Werder Bremen’s downturn? Or is it that other teams have improved a lot and the league is more competitive? A: Yes, for a long period of time, the club would receive money by playing in Champions League and Europa League. However, when we failed to qualify for those competitions and money is not there anymore, we have to find other ways to be more competitive. Bundesliga has also become a more competitive league. But we like to go back to the tradition of winning the games and being creative. Q: Do you encourage them to become professional football players or coaches one day? A: No. It is hard to judge. It is so hard to predict. They are supposed to go their own way. Q: Do they come to the club’s stadium to watch football? A: Yes, they come to most of the games! The Weser Stadium is just 20 minutes away from home. So it’s very easy for them to join Werder’s matches. Q: Considering the fact you were raised by Iranian and German parents, during your playing career, have you ever been called up by Germany or Iran national teams? A: I used to play for Germany U15-18. Also in 2005, I got an invitation to Iran National team’s training camp but it was canceled shortly afterward because I was injured. And that was the only time I got an invitation to play for a national team. Q: Have you ever followed Iranian football, like watching league matches or national team matches at the World Cup? A: Yes, I watched Iranian football on the internet, or I’d ask my cousin for updates. I follow it quite a lot and I’m interested in Iranian football. Q: Do you know any of former or current Iranian players playing in Germany in person? For example, Hashemian, Mahdavikia, Ali Daei, Karimi, Freydun Zandi, Shapourzadeh? A: Yes, I’m a close friend with Vahid Hashemian, because he lives about one hour away from me. I’m also a close friend of Amir Shapourzadeh. Q: Who is your idol in coaching? In Germany and abroad? A: I don’t have any idol in coaching. You can learn and get inspiration from different coaches. I try to be open minded, so I don’t have a favorite coach. I read a lot of books and articles on coaching, even on other sports’ coaching. Q: A great encouraging trend we have seen in recent years is young coaches like you taking the helm of first teams. You are now the youngest coach in Bundesliga, along with Julian Nagelsmann (Hoffenheim) and Manuel Baum (Augsburg)… In other teams, there are young coaches like Zinedine Zidane, Diego Simeone, Vincenzo Montella, Pep Guardiola. How do you as a 37-year-old coach manage a team that consists of players at the same age as yours or slightly older? What is your coaching style? A: It doesn’t depend on age, really. Just like players, it’s not the question of age, but quality and performance. It is important to trust the players and talk a lot with players, treat them well, to build a good team spirit with collective responsibility. I have standards, not rules, so they will do their best. Q: Can you tell us more about your standards? A: Some examples of my standards are honest communication with each other, treating each other with respect, no one is bigger than the team. And in my opinion, it takes a lot of courage to be successful in the Bundesliga. Q: Outside of Bundesliga, which teams are your favorite? A: I’m a big fan of the Spanish football, but to be honest my favorite team is my own. Thank you for your time, Mr. Alexander Nouri.